Today was my last day of school, so I had TONS of organization to do! 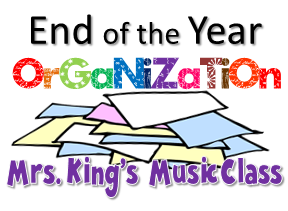 When I heard Tracy King at Mrs. King's Music Class was hosting a linky party about end of the year organization, I decided I had to link up! My room was a bit of a mess for most of today. I've been inspired by The Clutter-Free Classroom's Guide to Organizing and Managing your Classroom, so I've been throwing out more than I have in the past. After seeing a tip on Pinterest about organizing manipulatives, and then reading this tip again in the Clutter-Free Classroom, I decided I'd try it for next year. So I don't know about you, but every time I go to hand out maniuplatives, pencils, dry erase boards, etc., I have to choose a few volunteers to hand these out, wait for them to be handed out, see who doesn't have one yet, etc. Instead, I'm going to try to divide the students up into 4 or so groups, and assign them each a specific bin to go to every time something is needed, from manipulatives to pencils, and then they get them themselves. No calling on volunteers, no waiting to make sure everyone has one. They are responsible for going to get them, and voila...everyone has one! And here's a close-up of one of the bins. Inside this bin, I have scarves, dry erase boards, dry erase markers, felt erasers, solfa manipulatives, rhythm manipulatives, bingo chips, and a few more items! At the beginning of the year, I plan on telling students 1-7 they are in the red group, students 8-14 they are in the black group, etc. Then when I tell them what they need, they go to the bin and get it. So excited!! The other organizational tidbit I'm excited about is organizing all of my PD materials. This is still a work in progress, but I thought I'd share the process I'm using. Scanbot allows you to scan items and turn them into PDF's. My copier at school does this as well, but it's nice to have this option for when I'm at home. The PDF cabinet app categorizes PDF's into folders. I bought another app, called PDF Split & Merge, to be able to take bits and pieces of a workshop packet and save them as different files. So here's the idea: let's say you have a workshop packet with both info about multicultural music and group work. First, I scan the entire packet with Scanbot. Then I open up all three with PDF Cabinet. I drag "Drumming and singing" into my "drumming" folder. I drag "group work" into my "group work" folder. I drag "fa" into my melodic folder, and I drag "African songs" into my multicultural music folder. Notice the categories on the left hand side? Once I'm done with this project, if I want songs for fa, I can go to that folder. If I want movement activities, I can go to that folder. This has taken me a while to figure out, and I may try to figure out how to videotape a few tutorials this summer, but wanted to share the apps as I way to save files paper-free! I love the idea of opening the app, clicking on a folder, and immediately seeing the material, instead of searching my bin or my bookshelves, mumbling "Where on EARTH did that packet go?" 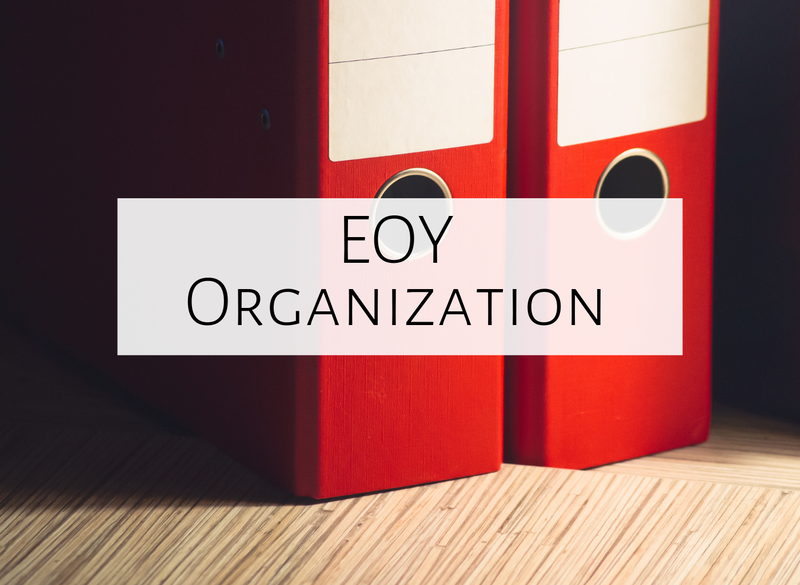 Do you have any organizational ideas? Feel free to link up, or comment below! Have a great rest of your week! OoOooOO! One of my goals for next year is to digitize my two GIANT binders of notes from workshops. Right now I have them labeled as "Big Fat Idea Book 1" and "Big Fat Idea Book 2". LOL...I think I like your idea better! Thanks for linking up! Thanks for the tips about these apps! I have lost packets over the years. Need to do this! Would you mind listing the items that you've put into the cloth totes for your groups? I think that would be helpful information for me!